Thanks for visiting our website! Many of the items on our website are handmade in the USA! We are a small company, started in 1982, and we pride ourselves on personal service, expert craftsmanship and attention to detail. 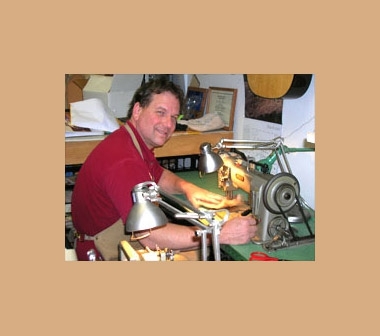 Our specialty is our All American Sheepskin Slippers that we make by hand here in our store in Idaho. Available with three different sole options they are washable and most feature removable, replaceable liners. Click on the video link on this page for a tutorial on styles available. Look for the slippers with the American Flag by the picture if you want the ones that are 100% American Made. We make an awesome selection of sheepskin shearling products in addition to our famous slippers. Our sheepskin winter hats and mittens are second to none. Fashioned from the best shearling money can buy, double stitched and washable. 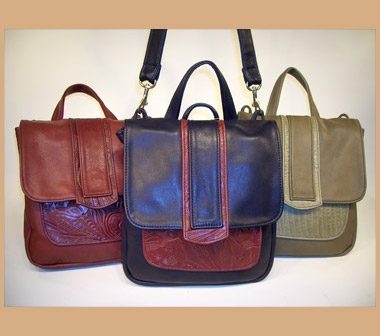 We also have beautiful hand crafted leather bags, purses and deerskin gloves. We do not limit our selection to items made only in the USA, so please look for the American Flag to proudly designate items made in America. The Imported styes of sheepskin slippers we carry offer durable, outdoor-suitable soles for every day all around use. Check out the women's sheepskin scuffs in pink, brown, white and black. 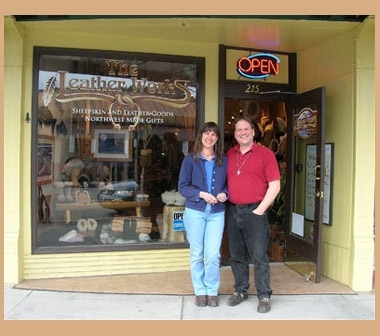 Our most popular styles of sheepskin slippers are handmade in the USA at our store in Coeur d'Alene, Idaho. For a video demonstration of the slippers we make, click here. 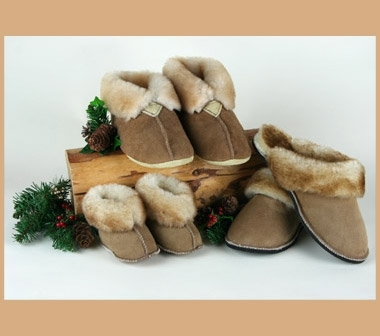 We offer a variety of shearling slippers for men, women and kids. Our Princess Slippers are truly luxurious sheepskin, and oh so fluffy! We even have large sizes in men's and women's slippers. For kids and babies we have softie sheepskin slippers to keep their feet warm. Whether you're looking for sheepskin slippers with soft leather soles or rubber outdoor traction soles or scuff style you will find them here. and attitude determines how well you do it." All of the leather bags and purses on our website are handmade in the USA. They are distinguished by quality design and craftsmanship, and are available in lots of fun colors. 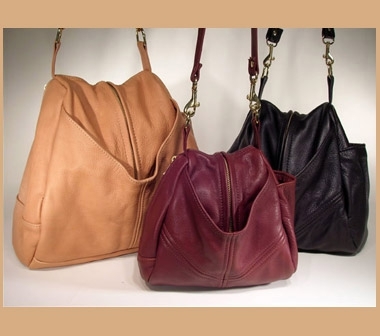 Enjoy looking through our collection of leather bags and purses. Our shearling hats and sheepskin mittens will keep you warm in the coldest environments. 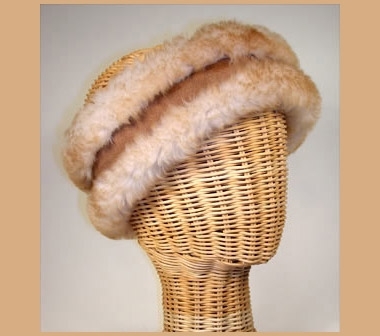 We have shearling sheepskin hats for men and for women and even have sheepskin headbands to keep you warm in milder weather. 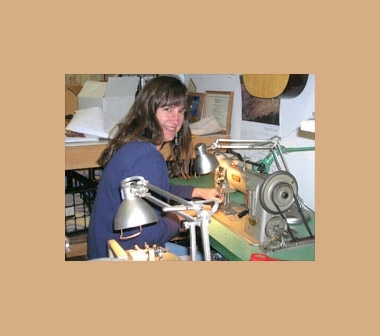 All of the sheepskin hats and mittens are made by hand in the USA, right here at The Leather Works. Our soft, cowhide leather wallets are perfect for your everyday carry needs. We have smaller billfold wallets as well as larger tri-fold wallets that feature a zipper compartment. We also have simple card cases, small soft leather pouches, and coin purses for all your small carrying needs, all made here in the USA! We believe quality leather belts should last a lifetime--thats why we make our leather belts out of a solid strap of 100% 8-9oz cowhide. Our belts feature solid metal buckles and come in a variety of widths. As always, they are American Made right here in Idaho. Our specially designed Adventure Satchel and Day Satchel are the only leather messenger bag you'll ever need. 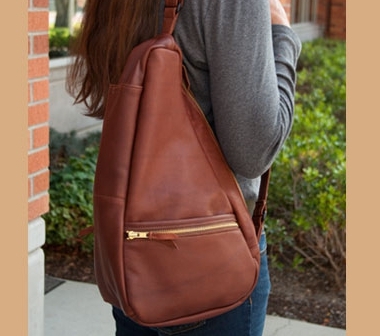 Our satchels are made of 100% oil-tanned cowhide and will go anywhere and everywhere. The briefcase sized Adventure Satchel is perfect for a day at work, while the smaller Day Satchel is suited for life on the go. 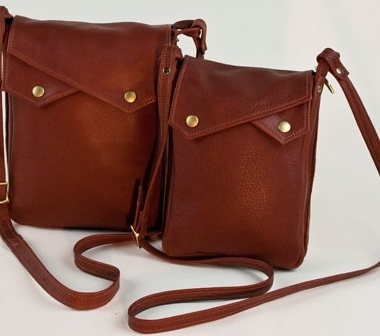 These rugged messenger bags are made by hand here in the USA.